Xiaomi as we all know, tend to expand there horizon steadily. Though the product we are about talking about is not the first of its kind Xiaomi is producing, but it comes with lots of amazing features that make it stand out. 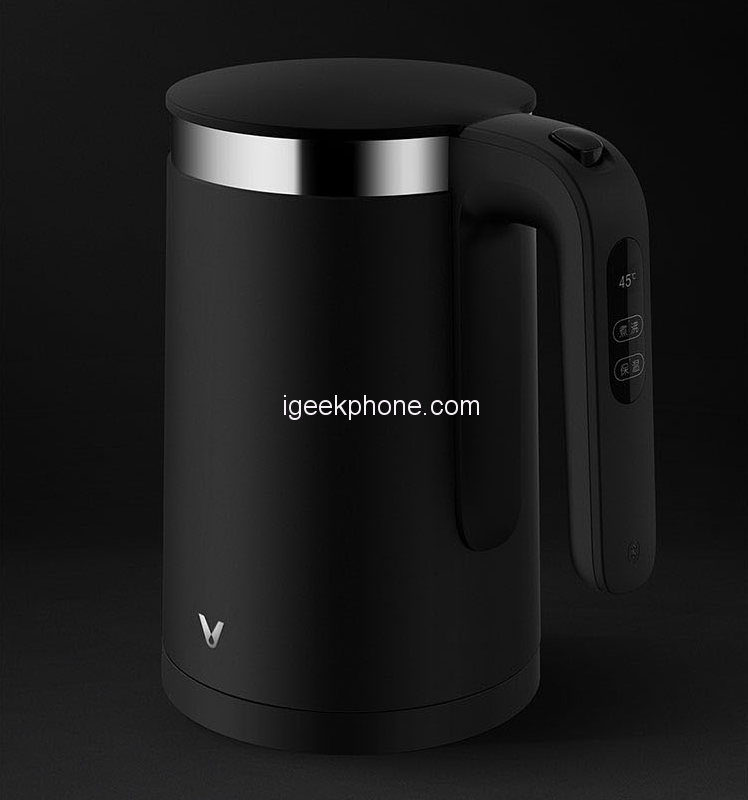 We are talking about the XIAOMI VIOMI YM-K1503 1.5L / 1800W Smart Constant Temperature Electric Kettle Pro which was released weeks ago. Let’s get to meet the device in details. It has an intelligent temperature adjustment function. 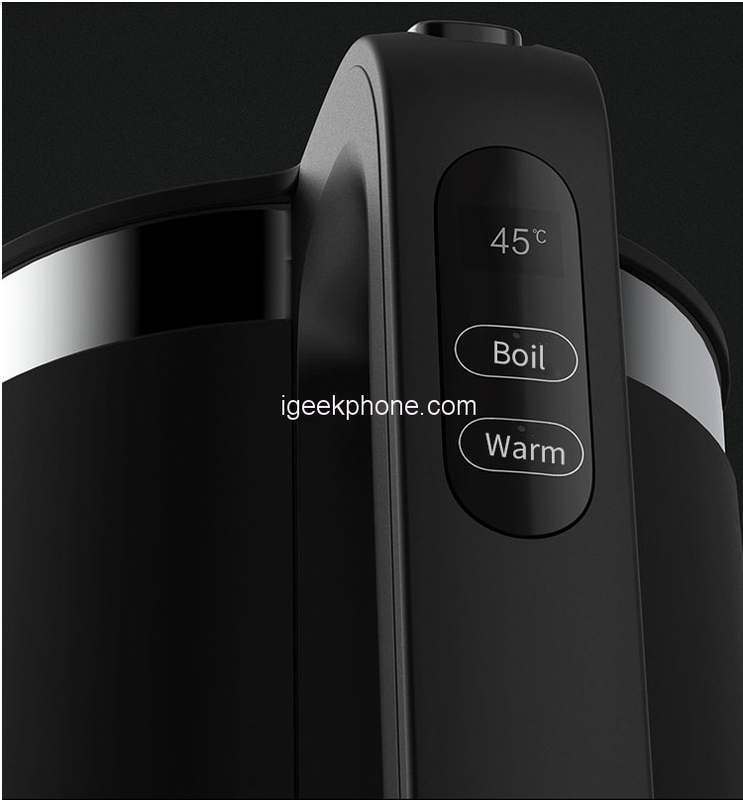 After setting the appropriate holding temperature through the mobile phone or the panel, it is also possible to select different heating and heat preservation methods, which can not only direct heat to a predetermined temperature, but also can be heated to a set temperature after boiling. It is embedded with an accurate insulation for up to 12 hours, measured in the laboratory after boiling water into 50 ° C insulation, can be kept for 12 hours, power consumption is about 0.5 (Kw.h).The bottom of the 1800W high-power shaped heating ring heats up, so that the water can be fully heated from bottom to top and heat up quickly. 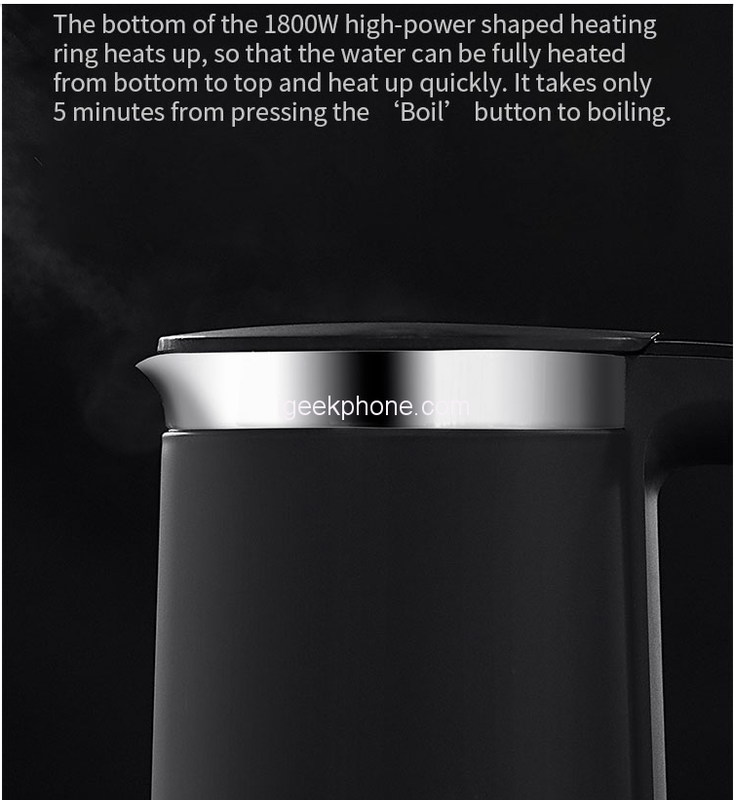 The XIAOMI VIOMI YM-K1503 1.5L / 1800W Smart Constant Temperature Electric Kettle Pro takes only 5 minutes from pressing the ‘Boil’ button to boiling. Automatically power off after the water is completely boiled; automatically cut off when the water is dry and dry; the power connector prevents electric shock and leakage. It is currently available on Banggood for just $53.99 which would last for the first 50 pieces and the next 50 pieces would go for $59.99.